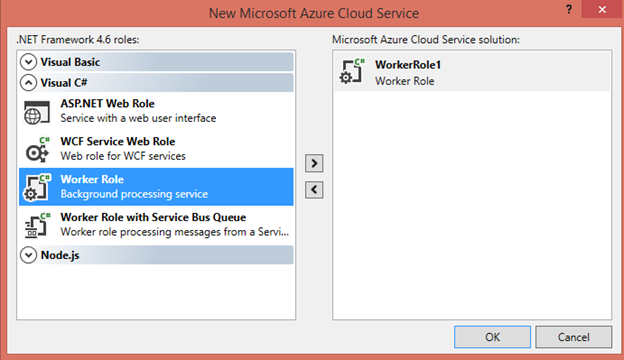 Create Worker Role – Microsoft Azure Articles.. In this article we can explore how to create a Worker Role in Azure. Worker Role does not use IIS. Worker Role runs the application Standalone. Worker Role is intended for background processing. 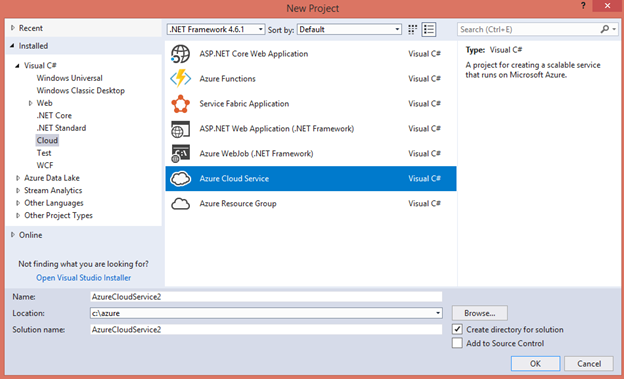 Open Visual Studio > New Project > Cloud section. Choose the Worker Role from the next page of the wizard. Click OK button to complete the wizard. Modify the Text as highlighted and Your Worker Role is ready! In the next post we can see how to deploy the worker role. In this article we have explored creating a Worker Role.